The tales contained here are a record of the adventures I have been having while learning to ballroom dance. If you’ve ever taken dance lessons before, your instructor probably encouraged you to go out and buy a notebook to keep notes in so that you could remember all the things you learned. Because I often lose things that aren’t stuck in one place constantly, having a notebook was a terrible idea for me. Instead, I use this site as a place to keep all of my dance notes. It makes it easy for me to reference my notes anytime and anywhere when I want to remember things, and keeping my notes in this form makes them much easier to search through as information is added. Because these are posted in a location where the whole world can see them, I try my best to polish my notes so that they are easy to understand, full of useful information, and maybe even a little funny. However, they are still my dance notes and are really meant to be useful to me, so they can get kind of technical when I need to write down technical things I have to remember. Just keep that in mind as you read through if you want to follow along. Who knows? Maybe you can use my notes to help improve your dancing as well! The Dance Kingdom, which is where I travel around learning to dance, is a place with fascinating characters, exotic locations, and very different customs than I grew up with. Names have been replaced (very unimaginatively) because people in this world might stumble across this one day, and I’d prefer them to ask me about things rather than figure it all out easily. If you ever find yourself visiting the Dance Kingdom, drop me a line and we can go out dancing together. Who knows? Maybe you’ll find a Lego figure standing in for you in one of these pictures if we do that! 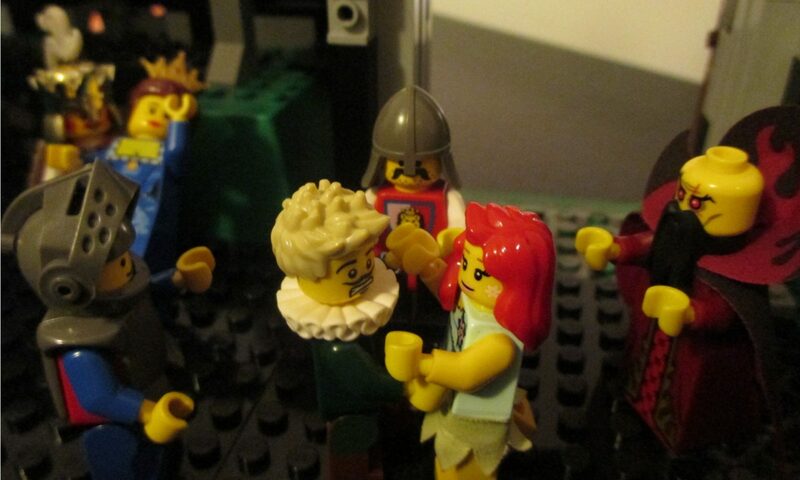 On that note, I’m not exactly sure where the idea of using the Lego people to illustrate my stories came from. In the beginning, I had a bunch of Lego Castle sets that I had kept from my youth for some reason that I decided to use for all the settings and people. When my dance adventures grew beyond what I could show using the Lego people I already had, I got a bunch of the random Lego Minifigures to represent the people that I met along my travels. After traveling to so many dance halls, I needed to have more locations, so I asked my younger brother if he knew what happened to the Lego Castles that he had when he was a kid. They were all stored in a bunch of boxes at our parent’s house, and he was kind enough to put them together for me so that the next time I visited my old home town, I could mail them back to myself. I know I shouldn’t have to say this, but all the material I write is copyrighted by me. Any usage of the material is limited, and should acknowledge me as the author. If you would like to use something that I wrote for any reason that is not on a website that is maintained by me, please contact me to obtain written permission before doing so, and be sure to link back to my site when you post it elsewhere. Hey there fellow ballroom dancin’ man! I do a blog following spree every once in a while, and this July I’m going 7 for 7: following 7 fun blogs a day, each day, for the seventh month. Yours is today’s #2! Feel free to come visit me at http://www.thatssojacob.wordpress.com and if you like what you read, follow back! Thanks and have a great day!